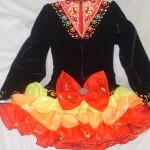 Striking black velvet bodice with red, orange, yellow cupcake skirt. 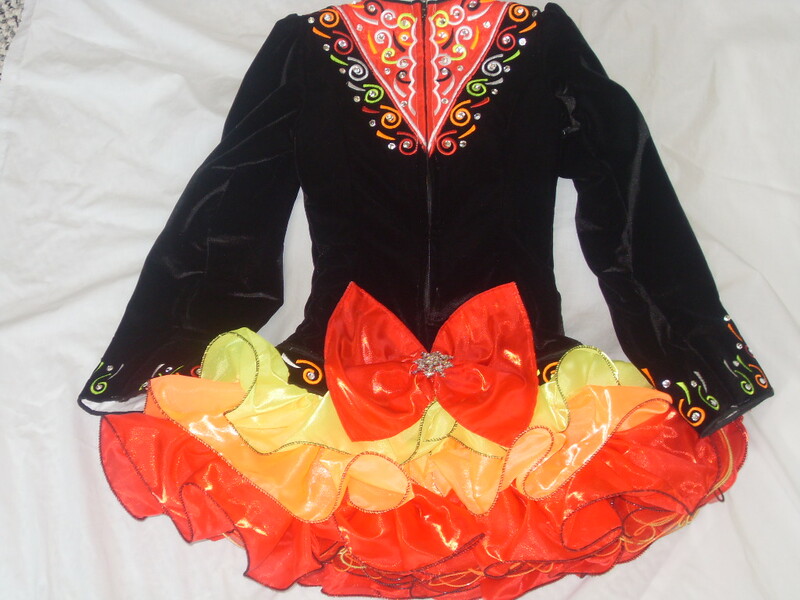 There is a red bow on the back of dress in place of a cape which has a beautiful rhinestone broche.The bodice is fully lined with white cotton fabric. 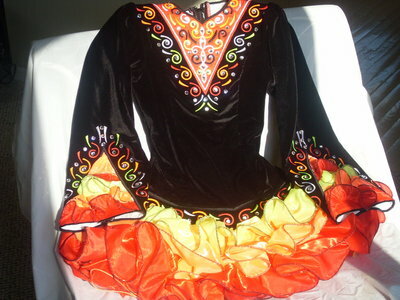 Dress is in excellent condition and is only 9 months old. 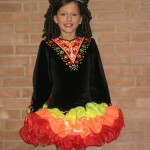 Includes black velvet & rhinestone headband and black bloomers. Will accept reasonable offers on price. 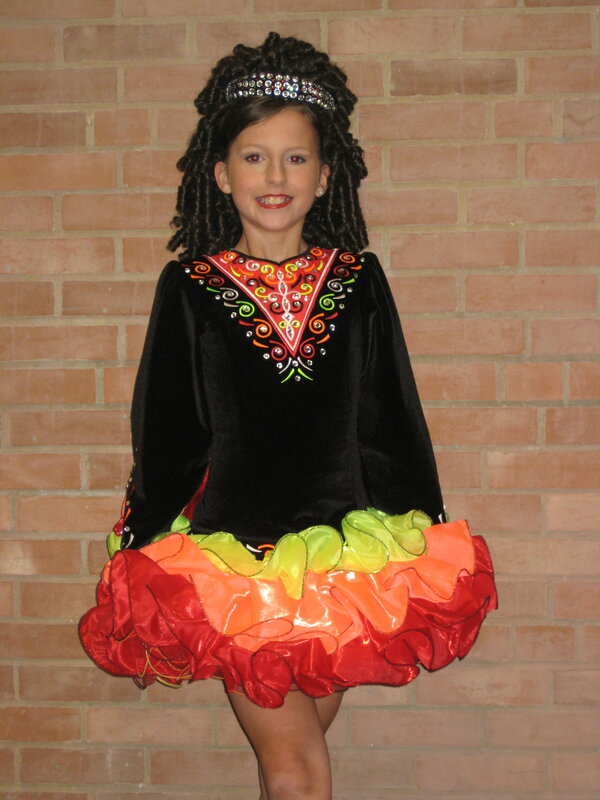 28″ around hip/drop waist room to let out in the small of the back.